It is very hard to think of blessings from God when people, especially those who claim to be Christian, treat you hatefully. But the historical reality stares us in the face. Religious people have always hated and abused those who serve God without compromise. Religion demands loyalty. Religion ignores the First Commandment completely. Religion teaches, but in practice ignores, the Great Commandment, as Jesus taught it, namely “Love the Lord your God with all your heart, with all your soul, with all your strength, and with all your mind.’ And ‘Love your neighbor as you love yourself.’ Jesus told him, ‘You’re right! Do this, and life will be yours’ ” (Luke 10:27-28 God’s Word). For example, I wrote a column years ago quoting news reports which demonstrated that a certain Canadian denomination approved of anti-Christian practices. A person who was widely regarded as spiritual wrote an almost slanderous response. The facts were not contested, simply heaping contempt on me because I exposed a gross error in “her” church. Jesus’ teachings go further, of course. “Blessed are you when people hate you, avoid you, insult you, and slander you because you are committed to the Son of Man. Rejoice then, and be very happy! You have a great reward in heaven. That’s the way their ancestors treated the prophets. “But how horrible it will be for those who are rich. They have had their comfort. How horrible it will be for those who are well-fed. They will be hungry. How horrible it will be for those who are laughing. They will mourn and cry. How horrible it will be for you when everyone says nice things about you. That’s the way their ancestors treated the false prophets” (Luke 6:22-26 God’s Word). And who most often leads the attacks against those who speak the messages of God for a call to repentance? Christian leaders who win community awards. People, who by outward appearance and using the “right vocabulary”, look spiritual. Yet that shows a great weakness because they want to “look” important. Any Christian who gets nominated for a Citizen of the Year award, and accepts, has crossed the line. The faithful, enemies of the Prince of Darkness of this world, will live as targets for the unsaved and hypocrites. “Beware of the scribes! They like to walk around in long robes and love to be greeted in the marketplaces, to have the front seats in the synagogues and the places of honor at dinners” (Luke 20:46 God’s Word). Why this note of warning? Religious people are fakes spiritually, and will, as history shows, destroy anyone who challenges the legitimacy or power of the institution. All who destroy the children of God show themselves as disciples of the Destroyer (“The king who ruled them was the angel from the bottomless pit. 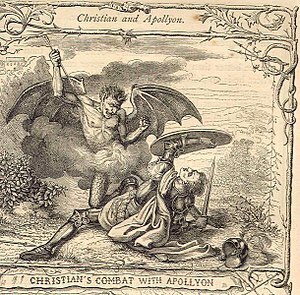 In Hebrew he is called Abaddon [Destroyer], and in Greek he is called Apollyon [Destroyer]” (Revelation 9:11 God’s Word). So, as Jesus said, “If the world hates you, realize that it hated me before it hated you. If you had anything in common with the world, the world would love you as one of its own. But you don’t have anything in common with the world. I chose you from the world, and that’s why the world hates you. Remember what I told you: ‘A servant isn’t greater than his master.’ If they persecuted me, they will also persecute you. If they did what I said, they will also do what you say. Indeed, they will do all this to you because you are committed to me, since they don’t know the one who sent me” (John 15:18-21 God’s Word). If the powerful, elite and religious [denominational] leaders attack you, remember this – it may mean you have remained faithful to Almighty God, and have no other loyalty than to the One who saves you. Either way, stick with God alone. Jesus the Judge decides who gets the rewards of faithfulness, like life eternal, not some religion, institution or leader who seeks personal applause.